Women’s roles in terrorist networks in Indonesia have until now been dictated by kinship ties through marriage, involving facilitating logistics and finance for terrorist acts. But there is a growing trend of women taking on combat roles. Last December Detachment 88, Indonesia’s police counterterrorism unit, arrested three women who were allegedly involved in plotting a suicide bombing during the changing of guards ceremony at Merdeka Palace. The women — Dian Yuli Novi, Arida Putri Maharani and Tutin Sugiarti — were part of a Solo-based terrorist network under the coordination of Bahrun Naim, the man allegedly behind the 2016 Jakarta attacks. A few days after their arrest, Detachment 88 also arrested Ika Puspitasari in a mosque near her home in Purworejo, Central Java. Novi and Maharani are the wives of Muhammad Nur Solikhin, who is believed to be the leader of the terror cell. Novi was responsible for preparing the planned suicide bombing at the Indonesian State Palace. Maharani was aware of these preparations for the attack and had facilitated its funding. Sugiarti, interestingly, played a key role in radicalising Novi despite Novi being married to the group’s head. The last woman, Puspitasari, had prepared to conduct a suicide bombing in Bali on New Year’s Eve. Within Jemaah Islamiyah (JI), Indonesia’s most infamous terrorist group, women previously played only intermediary and childbearing roles with the purpose of boosting ties and nurturing future jihadists in a bid to expand the group’s numbers. JI also relied on women to raise funds for violent jihad. 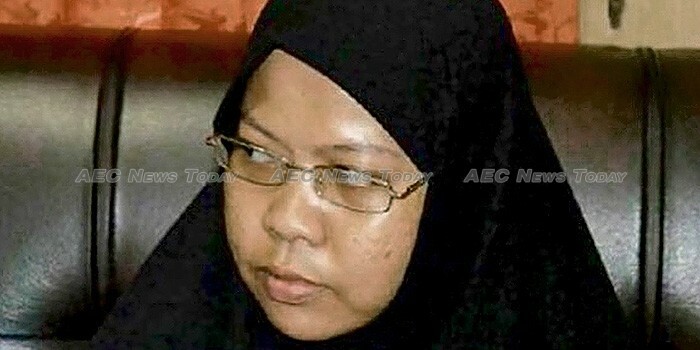 For example, Noralwizah Lee Binti Abdullah, a Sabah-Chinese women who was the wife of JI’s former operational commander Hambali, was believed to be JI’s chief accountant. Classical Islam does not favour women taking on combative roles. But with the rise of the so-called Islamic State (IS), the role of women in violent terrorist acts is evolving. With the goal of establishing an Islamic state at all costs, IS has had to extend the kinds of roles available to women in their organisation, involving them to a greater degree in armed combat and suicide missions. IS has established the Al-Khansaa Brigade, a women-only unit that patrols around the cities such as Raqqa and Mosul to enforce IS’ fundamentalist interpretation of Islamic values. Women also fought on the front lines for IS in Libya. Increased combat and planning roles for women in Indonesian terror cells reflects the influence and growing network of IS allies in Southeast Asia. The Eastern Indonesian Mujahideen (MIT) terror group, which pledges allegiance to IS, has conducted weapons training for its women, including the wife of the MIT’s commander. We should expect more women to be direct participants in terrorism in the future. Using women as suicide bombers, terrorist networks gain tactical and strategic advantages. Women are not expected to be combative or commit such acts of violence, and so can more easily avoid detection. Women can also better conceal weapons or bombs beneath their clothing. This presents an issue at customs checkpoints, where a limited number of female personnel are available to conduct physical checks, which may give female suicide bombers opportunity to launch an attack. The recruitment of women obviously increases the number of combatants in terrorist networks. But this may also indicate that the group is short on male combatants and are desperate for more recruits. The idea of females as suicide bombers is often sensitive and can trigger overreactions and exaggerations. But overreaction by the public and government is something that terrorist groups seek and exploit. Counterterrorism agencies need to give more attention to the evolving role of women in terrorism in Indonesia in order to identify what the best approach is for dealing with female combatants. This article was written by Chaula Rininta Anindya, a research assistant with the Indonesia Programme at the S. Rajaratnam School of International Studies, Nanyang Technological University, Singapore. It first appeared on East Asia Forum under a Creative Commons license and is reproduced here with its permission.